Our 12 Days of Giveaways is nearing its finish (12/9/18 – 12/20/18), but that doesn't mean you shouldn't still enter to win the remaining prizes that we have left. There are only big prizes left, and today's is a SIRT Pistol package. The SIRT (Shot Indicating, Resetting Trigger) pistol developed by NextLevel Training, is a training tool resembling popular handguns. It uses a laser to keep track of your shots on target to work on numerous aspects of shooting and reducing the amount of money required to maintain basic shooting fundamentals..
Additionally, it can be done safely from the comfort of your own home, as the SIRT pistol is inoperable as a firearm, it is impossible to load it accidentally with live ammunition. Utilized with an electronic target, accuracy can also be practiced to a degree. And even tactical and speed reloads with the included functioning weighted magazine. Each SIRT pistol has the typical rail on the frame for mounting a weapon light. 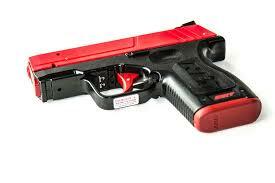 This allows you to run home defense drills inside your residence with your favorite light and/or laser. 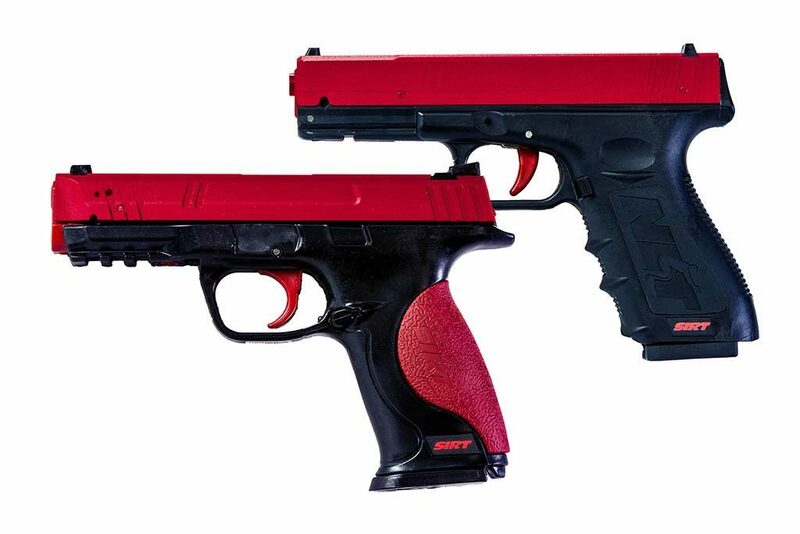 The handy, bright red color of the training pistols also helps to keep your neighbors from calling the police about someone running around with a gun. SIRT is offered in 3 styles: The 110 which resembles a Glock 17/22, a 107 model which represents a Smith & Wesson M&P, and the SIRT pocket pistol. 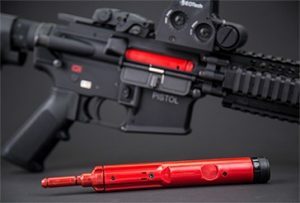 Also available is the SIRT-AR Bolt which operates exactly like the pistol, but can be used in your own competition, or home defense AR platform rifle. The SIRT system can be used on paper targets where you keep track of your hits yourself. Or you can purchase an electronic target which will give visual and audio cues for hits. Buy a couple and race your gun buddies for the fastest draw time. For more information on how you can enter to win this or the remaining giveaways, check out this page.